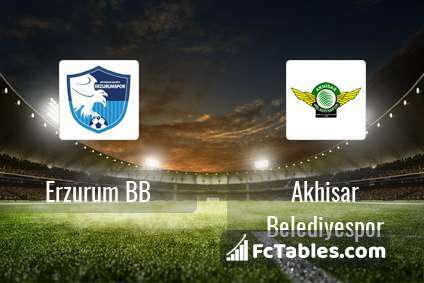 Kick off Erzurum BB-Akhisar Belediyespor in Super Lig on today 17:00. Referee in the match will be . Team Erzurum BB is in the releagtion zone of the table. 18 position. Erzurum BB in 5 last matches (league + cup) have collected1 points. Erzurum BB from 5 matches can not beat any rival. Players Erzurum BB in Super Lig with the highest number of goals: Taylan Antalyal 4 goals, Jasmin Scuk 4 goals, Samuel Emem Eduok 3 goals. Players Taylan Antalyal 1 assists will have to be very well guarded by defenders Akhisar Belediyespor, because they have the most assists. Team Akhisar Belediyespor is in the releagtion zone of the table. 17 position. Last 5 games (league + cup) finished balance 6 points. Players Akhisar Belediyespor in Super Lig with the highest number of goals: Elvis Manu 5 goals, Jeremy Bokila 4 goals, Yevhen Seleznyov 3 goals. Players Elvis Manu 2 assists, Jeremy Bokila 1 assists will have to be very well guarded by defenders Erzurum BB, because they have the most assists. 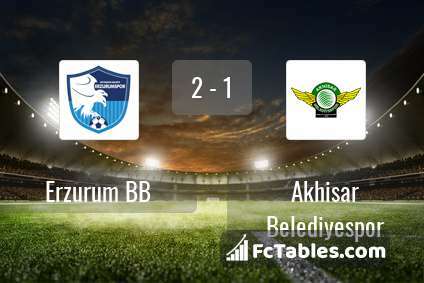 Direct matches: Akhisar Belediyespor won more direct matches. 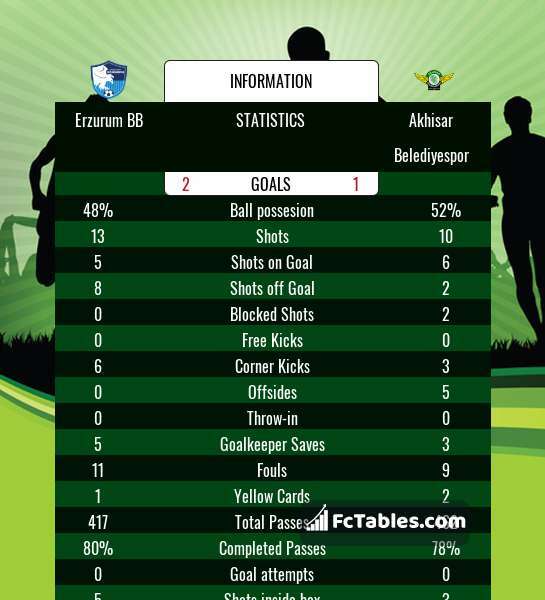 Erzurum BB won 0 matches , Akhisar Belediyespor won 1 direct matches, was a 1 draws. In 1 matches the sum of the goals both teams was greater than 2.5 (Over 2.5), and 2 matches teams scored more than 1.5 goals (Over 1.5). In 2 matches the both teams scored a least one goal (Both teams to score).